There’s something special to taking a pen to paper these days. Something more permanent, timeless, and thoughtful. Words and drawings almost mean more when done by hand rather than on a computer or phone screen. The notebook collection by Los Angeles based design team, Designs Tandem, offers handmade hard-covered journals that are as unique and timeless as the pages that fill them. An exclusive design for QFD! IT’s YOUR SHOW!!! 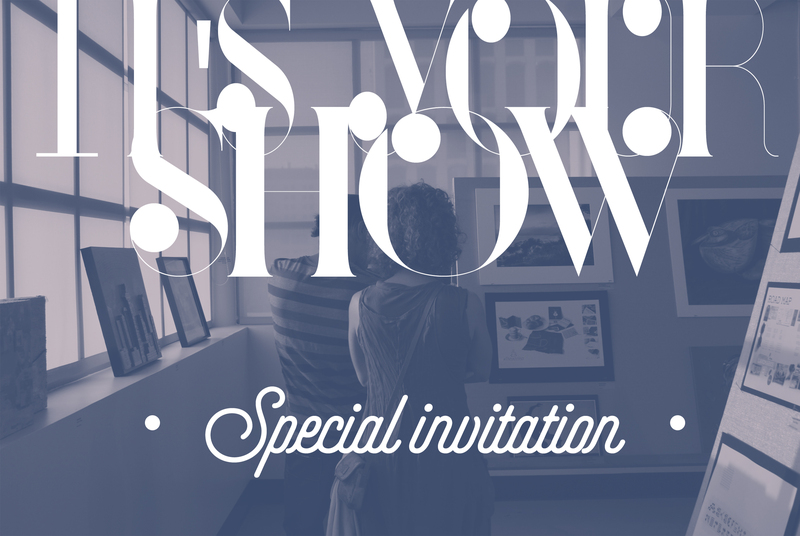 Special invitation for Tandem Designs. Come visit on feb27th 2015 at westwood UCLA art Gallery till the end of April!! 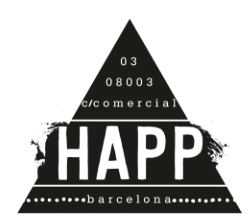 We are proud to communicate that you can now find our products at HAPP store BARCELONA, located at c/Comercial n3. Get our unique notebooks, specially designed for this city and with amazing new patterns and shapes!! We will be presenting spring-summer collection, exclusively for HAPP’s costumers soon… STAY TUNNED!! SUSCRIBE TO OUR NEWSLETTERS FOR MORE UPDATES AND NEWS. Market in Barcelona the 17th of Dec.
Come end visit us at this great concept market in Barcelona, step by and enjoy a glass of champagne with us!! Our products were selected on storenvy to be featured on the Editor’s pick page!! Take a look HERE>> and watch us on storenvy!! 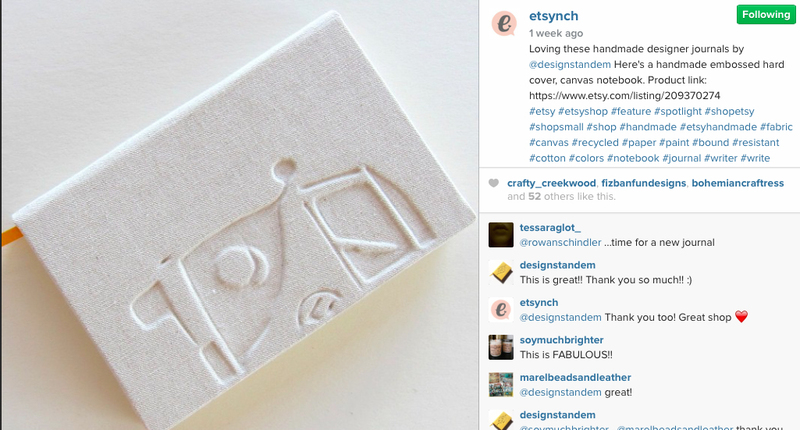 Etsynch choose one of our notebooks to be featured in their instagram page!! Etsy Hunter published us a blog article in their blog HUNTING HANDMADE, talking about our story, who we are what we do and our products!! !